Starting the 06th to the 10th of June 2019 the international Biker- & Harly Davidson scene invites you for the 23st time to Saalbach Hinterglemm. The streets of Hinterglemm turn into a Biker Mania Village for the 4 event days. 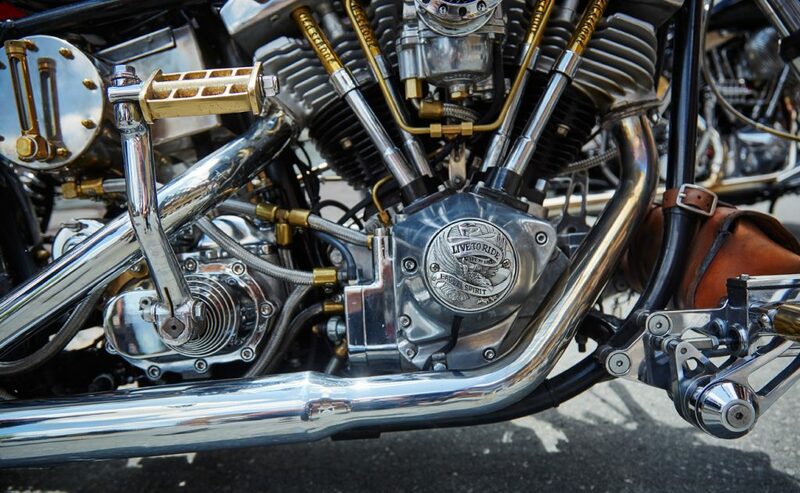 The rumble of the engines makes the hearts of the Harley fans skip a beat, when Saalbach Hinterglemm starting the 06th to the 10th June 2019 turns into the hot-spot of the scene for 23nd time. Bikers from all around Europe and even further will be coming to have a good time, party and check the craziest show bikes of the Harley-world. The highlights once again will be the three guided tours with a huge Biker Mania Parade on Saturday, where the most beautiful machines of the world can be recognized and for the first time you can compete at the “badass beard contest” for which a barber who is at the event can and will prepare you. New attractions are also waiting for you, come visit and see yourselfe! In addition: countless customizers with exclusive bikes, demo rides and hot pole dancer awaite you in “Miss Palace” next to the Hotel Alpine Palace grant you an unforgettable time. During the day the most beautiful custom bikes, street artists, helicopter flights, live bands and the 1km long shopping “mile” in the Biker Village will be taking care of the fun.